The famous Castro Adobe in Larkin Valley will be held open for three weekends this summer. The Friends of Santa Cruz State Parks will be holding the home open to visitors on June 12th and 13th, July 10th and 11th, and August 14th and 15th. The Adobe will be open on each of those days from 11 AM until 3 PM. Admission will be free, but donations will be gratefully accepted. The Castro Adobe is located at 184 Old Adobe Road, just off Larkin Road near the intersection with Buena Vista. The Castro Adobe is significant for Aptos because it was built by Juan Jose Castro. Juan Jose was the brother of Rafael Castro, who received the original 1833 Rancho Aptos land grant from the Governor of Mexico. 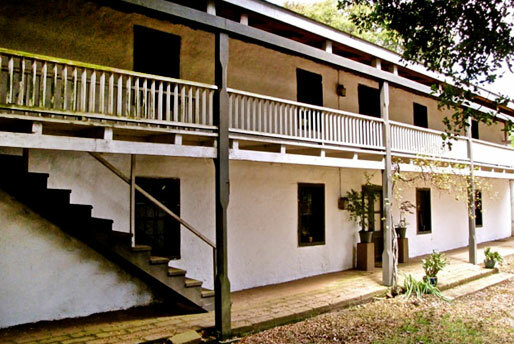 According to Wikipedia, the Castro Adobe served as the governing seat and “fiesta house” for the Castro family. The Friends of Santa Cruz State Parks has been leading a multi-year restoration effort to preserve and interpret the site and is partnering with California State Parks to open the adobe as a State Historic Park. To follow progress on the restoration effort, visit www.ThatsMyPark.org/projects/castro-adobe.